Boy Scout Troop 50 | Chattahoochee Council | Auburn, Ala. | #troop50: Summer is upon us! With just a few days of school left for our Scouts, the troop also set its sights on the summer during Monday night's meeting by discussing summer camp and holding the troop's mid-year elections. 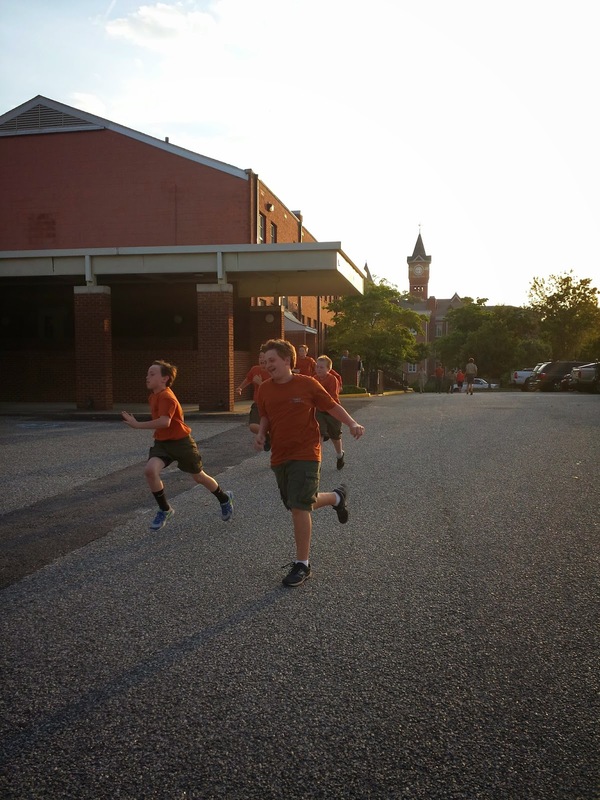 The troop first handled several advancement-related requirements while giving Scouts the chance to expend a little energy. 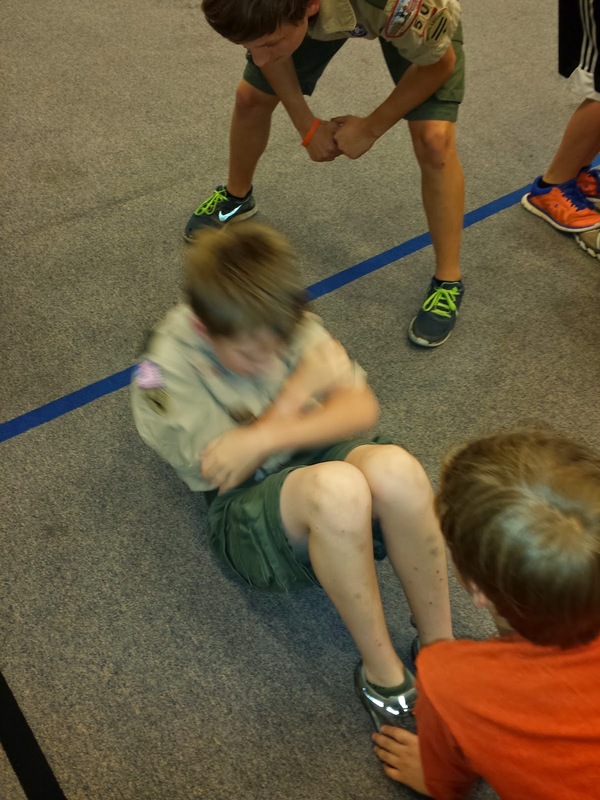 In an effort to mark improvement in their physical prowess, our newest Scouts — accompanied by the rest of the troop — retested themselves in the various physical fitness tests to show improvement after 30 days as required for the Tenderfoot rank. Back in April, Scouts performed a variety of physical feats — including sit-ups, push-ups, the long jump. Monday night was their chance to prove they were faster and stronger 30 days later. Scouts returned indoors to discuss youth leadership for the second half of the year. William, who has served as the troop's senior patrol leader since January, ran unopposed for a second term. Upon election, he appointed Davis as his assistant senior patrol leader. The pair, along with patrol leaders for the Turn Up and Buck patrols to be selected soon, will be installed at the troop's June 2 court of honor. The group of youth leaders will serve until the next set of scheduled elections in December. The meeting closed with a discussion of summer camp packing tips, led by Assistant Scoutmaster JP Pendleton. 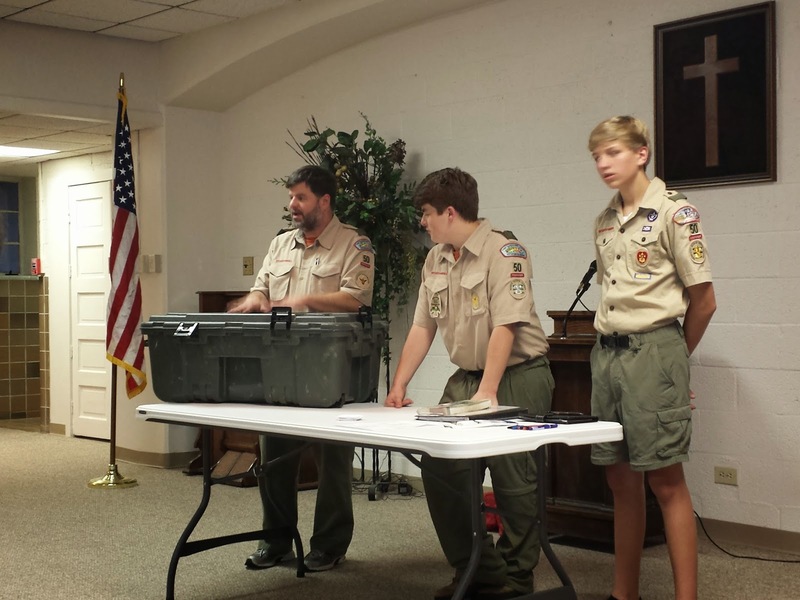 Scouts were encouraged to pack in plastic footlockers using a packing list to be provided prior to summer camp. 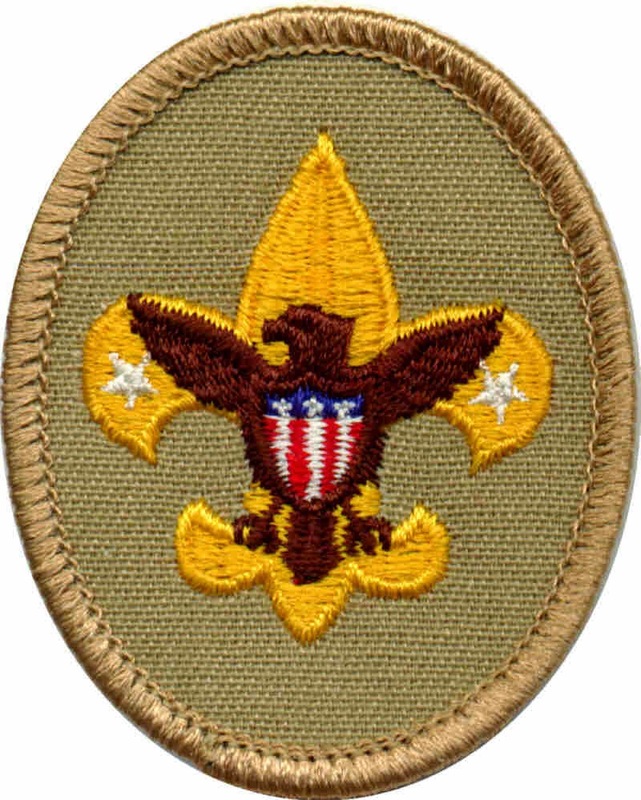 Mr. Pendleton noted that Scouts would need both Class A and Class B uniforms, as well as attire and footwear appropriate for swimming and hiking activities, and a troop whitewater rafting trip. The troop will organize several clothes-washing sessions during the week. More resources to prepare for camp will be provided in the coming weeks. Summer camp activities will include an older-Scout contingent heading to Camp Daniel Boone in Canton, N.C. in June for its "Five Rivers in Five Days" whitewater rafting program, and the majority of the troop heading to Camp Woodruff in Blairsville, Ga. in July for a week of traditional summer camp.